4 Powerful Tools for Self-Discovery & Personal Growth! KnoU (pronounced “Know-You”) Profiles are extremely informative, life-inspiring reports all about you. Based on the letters and numbers associated with your name and birthdate, they are penetrating tools to help you better understand your strengths, weaknesses, deep inner needs and emotions. It’s like reading a blueprint from your soul! Gain new insights into your character and personality, discover your hidden talents and abilities and how to make the best use of them, your deepest inner desires and how to fulfill them, the environment in which you work best and much more. Learn how to achieve money, status and power, build confidence and self-esteem, be more successful in your job, create more joy in your life, improve your relationships, attain more personal satisfaction and much more. Recognize the important opportunities that can advance your life each year. Learn the best times to devote to home and family, to start a new business or find a new job, to begin a romance, make money or change your residence, and much more. Get a fresh look at the influences at work in your relationships. Learn how to build a stronger and more meaningful partnership, to be more loving and affectionate with each other, to recognize each other’s sexual needs and desires, and much more. in your life...watch the video now! Realize Your True Purpose, Real Strengths and Untapped Potential To Shape Your Life in More Positive Ways Than You Thought Possible! What is the purpose of my life, that when understood, can bring me deeper inner peace, success and satisfaction? What special abilities do I possess, but am not using, that can create new opportunities in my personal life and career? What obstacles are blocking my unrealized potential, and the ensuing fulfillment that is my natural birthright? Now, what if the universe—in its infinite wisdom—did provide an actual, easy to use system that could answer these life-altering questions. And most importantly, what if this system revealed your unique inner qualities, that once recognized, could lead to the extraordinary life you were meant to live! The KnoU (pronounced “Know-You”) Personality Profile—a ground-breaking, easy to read and highly accurate numerology report all about you—lets you discover the answers to these life-altering questions. Created by Matthew Oliver Goodwin, MIT graduate and renown author of “Numerology: The Complete Guide,” the KnoU Personality Profile uses research-validated techniques that penetrate to the core of your being to reveal your innermost strengths, weaknesses, deep inner needs and emotions. Based on the letters and numbers associated with your name and birthdate, this powerful tool for self-discovery is like reading a blueprint from your soul, allowing you to more fully understand just how special and unique a person you are. By focusing on your special inner traits that are not always visible to yourself or others, you’ll be able see yourself in a new, comprehensive light. Once you clearly recognize the diverse parts of your individuality and how they uniquely come together to make the person you are, you’ll finally get a complete picture of the real you. And, as you begin to express each aspect of your personality, you’ll start to manifest the full potential you were born with, shaping your life in more positive ways than you ever dreamed possible. Knowing Your Self Can Make All The Difference In The World! David Stone’s experience clearly illustrates the importance of knowing your self, especially those aspects outside of your current awareness. David was a computer programmer who at the age of 30 was making good money and advancing rapidly in his career. But something wasn’t right. No matter how hard he tried, he couldn’t rid himself of a profound feeling of dissatisfaction. His KnoU Personality Profile indicated an intense love for people and an aptitude for communication. These skills were emphasized; the analytic side of his character was just mentioned in passing. At first David scoffed at the profile. Upon reflection, though, he began to realize that perhaps he’d been overlooking an important part of himself. Not long after, he went back to school and became a satisfied, happy psychologist who couldn’t believe that he ever worked at a computer terminal. Becoming a psychologist was the last thing he thought he’d ever do. David’s story is not that unusual. We all have aspects of our self that are hidden from our view. Only when you recognize the richness of your complete personality can you attain the peace, success and fulfillment you deserve. Besides revealing the real you, the KnoU Personality Profile can also provide a profound way to better understand one of the most important people in your life, your romantic partner. You’ll be able to see what motivates them, why they do things the way they do, what their basic needs are. With this new understanding will come a deeper appreciation and respect. This expanded outlook can be the beginning of your relationship flourishing in new ways, creating a whole new level of love and intimacy between you. Children, too, can greatly benefit by getting their profiles. Once you better understand their true nature, you can guide and encourage them as they are growing up, helping them to develop their hidden strengths as well as support their growing needs. What a great way to give your kids a head start in life! And, when they graduate high school or college, what a perfect gift to give them for their own self-empowerment! Understand the important lessons you are learning, giving you a deeper appreciation of your life and its purpose. Develop your existing talents and abilities to further your livelihood, relationships, leadership roles, finances and more. Recognize your hidden strengths and talents, that once awakened, can help you create new opportunities in your personal life and career. Understand your inner motivations and desires—what you really want from life—and the potential opportunities and challenges they present. Improve those parts of yourself that are out of balance so that they work for you in positive ways instead of holding you back. Deepen your relationships with those most important to you by gaining new insights and appreciation of who they really are when you also get a profile for them. Tap the highest powers within yourself. Awaken, develop and benefit from your spirituality. Plus, unique information on how your current name has changed the emphasis of your talents, abilities and characteristics. Whether you use the KnoU Personality Profile to examine your life, take advantage of unexplored opportunities, confirm talents that in your heart you know are there, or simply figure out where to go next, it is a highly effective tool to help you better understand and empower yourself. To get this special offer of the KnoU Personality Profile for yourself and loved ones, simply click on the button below and discover how easy it is to live more satisfying and fulfilling lives. And when you act today, you’ll get 2 FREE Special Reports worth $94 that will further enrich your life and relationships. Plus, you’ll get a free edition of “Prelude”—a riveting 5 Star Amazon.com reviewed metaphysical mystery that shatters the myth of death. More truth then fiction, it’s a must read for anyone who wants to understand the meaning of life! The KnoU Personality Profile is a very affordable, high quality, full length reading that reveals your most intimate strengths, weaknesses, deep inner needs and emotions—and can help you to realize your untapped potential. The only numerology report that uses advanced analytical techniques that penetrate to the core of your being to help you better understand the deepest parts of yourself. Created by the renown numerologist Matthew Oliver Goodwin, an MIT graduate, architect and author of the highly acclaimed, “Numerology: The Complete Guide.” After reading your own report, you’ll insist that it was personally written for you by Goodwin himself, guaranteed, or your money back. With this extremely informative, well written and easy to read report, you’ll be able to see the full scope of your personality—whether or not you have any knowledge of numerology. The ideal gift for family and friends. Extensive research by the prestigious Association for Research and Enlightenment—with 1,000 participants—confirmed the remarkably high accuracy and helpfulness of this powerful tool for self-discovery and personal growth. You’ll also get 2 Free Special Reports worth $94.00, written by a psychologist and teacher with 25 years experience helping her clients and students to realize their true potential. These reports were written just for us and are not available anywhere else. Your report will be instantly available once you complete the order process, giving you immediate access to your own indepth life blueprint. Everything in the universe vibrates at its own particular frequency. By finding the vibration rate of any object, you can establish the qualities and energies associated with it. By applying the principles of the Science of Numerology, a practice that can be traced back some 10,000 years to Egypt and Babylonia, you can determine your own major frequencies. A numerical analysis of these calculated frequencies—using your name and birth date as the basic data—provides significant information about your personality and character. Using a combination of modern numerology and practical psychology, the KnoU Personality Profile reveals the meaning of the letters and numbers associated with your name and birth date—in surprisingly helpful ways. You may also be surprised to learn that Pythagoras, who developed many of the basic theorems that form the foundation of present-day mathematics (including the right triangle theorem taught in math classes today), is credited with formally organizing the field of numerology about 2,600 years ago in ancient Greece. 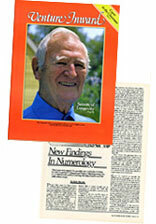 Goodwin devised an advanced integrated system, similar to what a professional numerologist does in a personal consultation, resulting in reports of unusually high quality and accuracy. In fact, the Association for Research and Enlightenment, the largest metaphysical organization in the U.S., conducted an extensive research project using the KnoU Personality Profile. Their most significant finding—based on 1,000 participants—was that the accuracy of these reports was a remarkably high 90% for the largest segment of test participants! This resulted in the publication of “New Findings In Numerology” by Mark Thurston, Ph.D. in their Venture Inward magazine. is Knowing Your True Purpose! Get Your KnoU Personality Profile Today. When You Order Your KnoU Personality Profile Today! 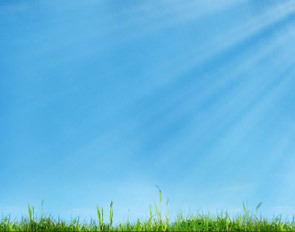 When you order the KnoU Personality Profile today you’ll get 2 free indepth reports, “Opening The Mind, Igniting The Heart” and “10 Winning Strategies for Loving, Successful Relationships” by Cheryl A. Malakoff, Ph.D., a psychologist and teacher with 25 years experience helping others to realize their true potential. These special reports are filled with priceless wisdoms that can help you to empower your own life as well as your romantic relationships. Valued at $94, these exclusive gifts are a natural compliment to your profile, and can further enrich your life experience! Plus, you’ll get a “Preview Edition of Prelude,” an intelligent and riveting Metaphysical Mystery that shatters the myth of death that has consistently gotten 5 Star reviews on Amazon.com, and the Divine Soul Song mp3, “Love, Peace and Harmony”. Filled with profound, universal truths, this powerful report reveals important life lessons we all experience at one time or another in an easy to read and understand format. The author provides 144 “stepping stones,” based on her own life experiences, to help lead you towards self-empowerment. These truths can also be used as powerful affirmations that act as valuable guideposts for your personal transformation. This perceptive report combines the author’s 25 years of experience working with couples with her deep spiritual insights to give you the important keys that lead to more loving, fulfilling relationships. Discover what makes the difference between a relationship that struggles and one that’s successful, and why some couples are best friends while others feel like enemies. This priceless information can really make a difference, not just in your relationships but in your entire life! An intelligent and riveting metaphysical mystery that explores the existence of past lives from the perspective of both the scientific/medical community and the universe of metaphysical beliefs. These worlds converge in a hotly contested legal case over an unclaimed inheritance worth millions, the outcome of which threatens to upend legal, medical and religious institutions worldwide. This well-researched, page-turning novel is sure to entertain you, and to enlighten you as to the schools of thought challenging the ‘myth’ that death is the final chapter. More truth than fiction, Prelude is a must read for anyone interested in the spiritual laws that are the underpinning of our life’s journey. Love, Peace and Harmony, a song received from the Divine, carries the high frequency and vibration of divine love, forgiveness, compassion and light. By listening to or chanting this soul song, your body naturally resonates with this elevated frequency, and responds by activating love, peace and harmony throughout your being. Play this song in your home and workplace to elevate the vibrations and experience more peace and harmony in your environment. Special Note: The 2 exclusive, life-enhancing reports were written just for us and are not available anywhere else. Potential! 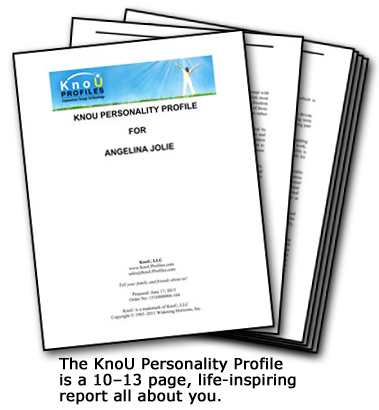 Get Your KnoU Personality Profile and 2 Exclusive Reports Today. Find Out Now What Your Name Reveals About You. Have Already Discovered It Works! This is your chance to find out what your name and birth date reveal about you and the life you were meant to live. Though personal numerology consultations can cost as much as $250, Matthew Goodwin’s expertise is now available to you for just $19.97. Plus, when you order today, you’ll get 2 FREE Special Reports worth $94 that can further enrich your life and relationships, as well as a free edition of “Prelude”—a riveting 5 Star Amazon.com reviewed metaphysical mystery that shatters the myth of death. More truth then fiction, it’s a must read for anyone who wants to understand the meaning of life! And, with our 30 Day Unconditional, Risk-Free Money-Back Guarantee, you have absolutely nothing to lose...and a more meaningful, fulfilling life to gain! If your profiles don’t read as though they were personally written for you by Goodwin himself, if they are not everything you expect—and want, simply click the Customer Service link at the bottom of any page on our site and follow the instructions. You’ll get a full refund, typically within 48 hours, no questions asked. This is the time to act. Life is simply too short to not be living up to your full potential! 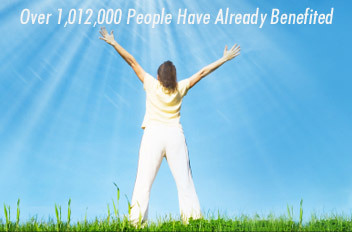 Join the over 1,012,000 people whose lives have already benefited from a deeper understanding of their true life’s purpose. To get comprehensive reports for yourself and loved ones, simply click the button below and discover how to make the most of your strengths in a way that wasn’t possible before! P.S. The information in your KnoU Personality Profile is like reading a blueprint for the life you were meant to live, providing a window into your higher self’s plan for this lifetime! Don’t miss out on this exciting opportunity. And, since your satisfaction is 100% guaranteed, you have absolutely nothing to lose by getting this highly accurate, life-inspiring report! Create The Life Your Were Meant To Live Today!